Do you want to know the five best elopement locations in Ireland? Click here to find out. If you are considering a Dunluce Castle elopement, I’d love to hear from you! Click here to get in touch. Great use of the light Rob and wow what a setting. Wow dude - every frame is a work of art! Loving the beauty of this blog. What a stunning location! Beautiful captured Rob - you really caught the atmosphere of the day. Lovely wedding - captured the emotions and moments ! Beautiful use of low key light Rob, and in such gorgeous scenery! 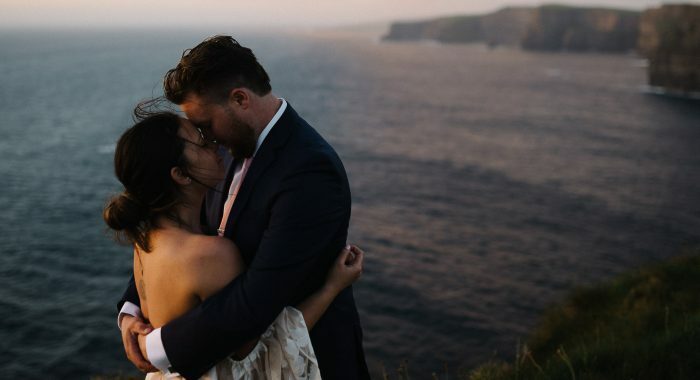 omg this Ireland elopement is a dream!! beautifully captured! Thanks Naomi, Dunluce Castle elopements are the best!!! GOOOORGEOUUUUUS TOOOOONES. Omg I have to go to Ireland. Have to have to have to!!! This is stunning!!! Thanks so much!!! Northern Ireland elopements rock!!!! Wow! Adding Dunluce Castle to my bucket list! I can't wait to visit Northern Ireland one day - this elopement is so precious! Yes you meed to visit Northern Ireland, its awesome! This elopement is lovely. Ireland is such a dreamy place to capture a love story! Ok wow. This is actually probably my favorite elopement of all time. Seriously they couldn’t of have picked a more stunning backdrop than Dunlance castle. You have me itching to go to Ireland now just to photograph there. You’re an amazing photographer and their lucky they found you to capture their day!! 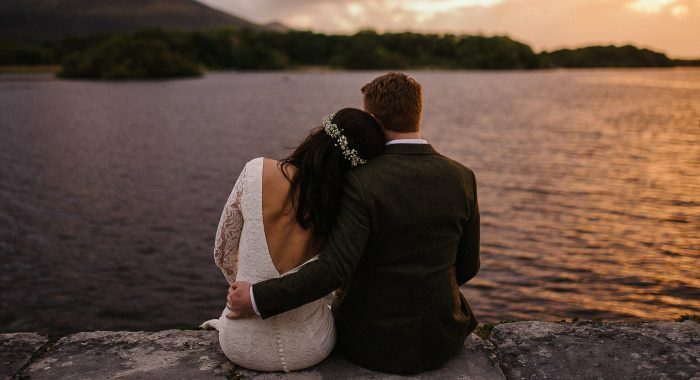 This Ireland Elopement is such an incredible one! Wind swept and so emotive! Love all the details captured for these two to treasure for life! Thank you Justyna, yep Dunluce Castle elopements are so good! 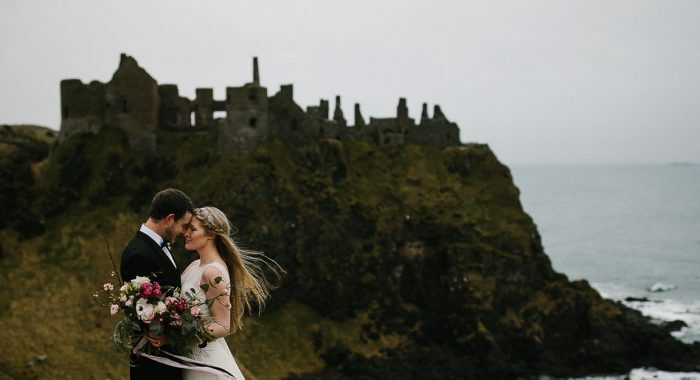 WOW, this Dunluce Castle Elopement in Ireland is things of dreams! So dreamy & all the romantic feels!!! Thank you!!!! Yep Ireland is the best place for an elopement if you ask me! Now THAT was beautiful! I love the intimate feel of your photos!